On a recent project, Modular Genius worked with Upside Innovations to provide ADA compliant steps and ramps for a interim modular campus. The West Virginia middle school was one of many destroyed during flooding in 2016. 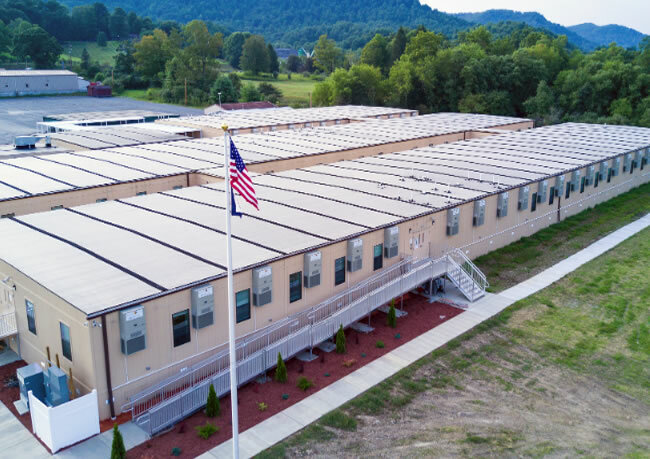 The 45,000 sqft modular building installed by Modular Genius was equipped with ten (10) ADA-compliant steps, three (3) ADA-compliant ramps, and one (1) walkway canopy.